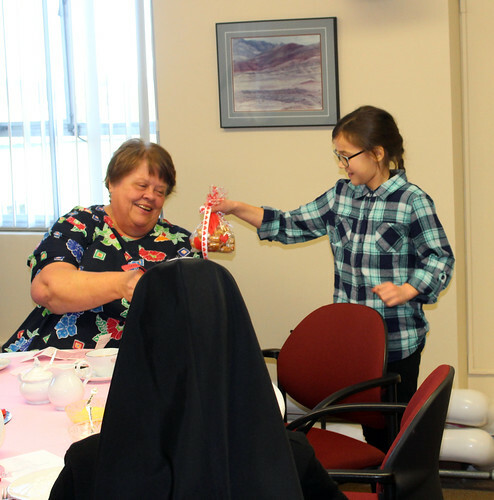 The Associate Program is a formally recognized relationship between lay men and women and the Sisters of St. Mary of Oregon (SSMO) resulting from a calling to share in the charism and mission of the congregation within the context of the Associates’ own lifestyles. The purpose of the association is mutual sharing of the spiritual life and enhancement of the ministry of both the associate and the community. The Associate Program of the Sisters of St. Mary of Oregon was approved by the 1990 Chapter of Affairs. At the first covenant ceremony in 1991, there were 22 members. Today, there are 150 Associate members. 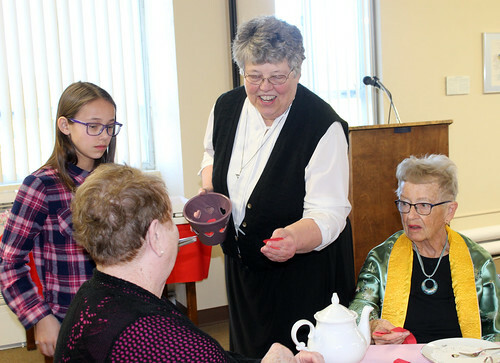 Fifteen Sisters serve as contact persons. The SSMO Associate members have served in many different ecclesial and civic ministries. They are liturgical ministers, social workers, ministers to the handicapped, spiritual directors, good parents and good friends, good business people, and dedicated retired people. 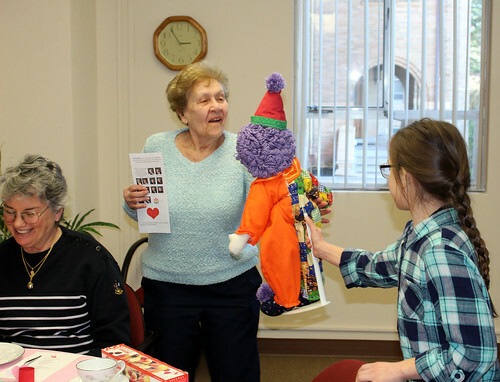 They are drawn to the Sisters of St. Mary of Oregon charism and want to share in their mission. The director sends a monthly letter to the members, keeping them informed of events in each others’ lives, asking them to pray for each others’ needs, and sharing with them reports on past events and invitations to upcoming gatherings, whether it’s to discuss of Scripture, retreats at the beach, or other types of ongoing formation. 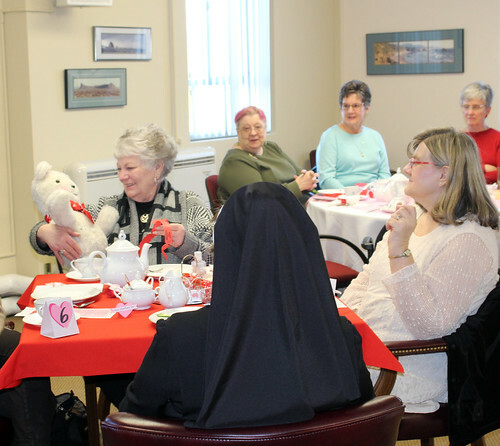 On or near the feast of the Annunciation, the Associates celebrate SSMO Founders Day with the Sisters. 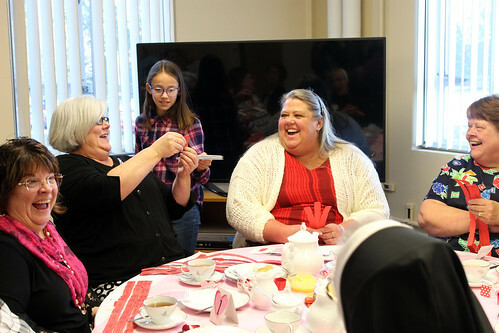 The community and each member renew their annual commitments to live the charism and mission of the Sisters of St. Mary of Oregon. Who are the SSMO Associates? Parish Groups: In some places, there is a group of Associates and a Sister who ministers with them. Many of these people are very active in their parish. Sometimes they make a weekend retreat at the SSMO beach house. Sometimes, we visit them for a time of prayer and sharing. SSMO Employees: Another grouping of Associates are SSMO employees on our campus. 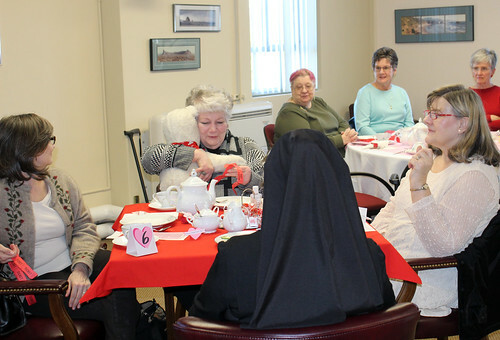 They interact with the Sisters on a regular basis. SSMO Friends: These individuals often live away from other Associates. They are friends or relatives of the Sisters. They stay connected through their contact person, but are not actively involved in SSMO activities. Have an opportunity to renew their commitment each Founders Day. Have opportunities to attend Bethany Center events. Have opportunities to participate in SSMO and Associate retreats. Pray with and for other Associates and the Sisters of St. Mary of Oregon. Communicate with their contact person. Annual Gathering: Each March, Associates are invited to gather at our Motherhouse in Beaverton for the Covenant Ceremony. We also remember our deceased Associates at that time by calling attention to their names on a plaque. We celebrate Mass, renew commitments, eat lunch, and gather for shared prayer/discussion. Daily Email: For those who have email, we keep in contact on an almost daily basis with a short one-line message about the feast of the day, a current event, or a meaningful thought. To learn more – and to become an Associate – contact Sr. Catherine Hertel by email or call her at 503-906-1135.